The Predator screenwriter Fred Dekker admits that he isn’t too fond of the Predator killer suit ending. The project was plagued by reshoots and last-minute rewrites that ended up putting a gutted movie on the big screen, full of weird edits and unexplained scenes. However, there are still fans of the movie, and it was a blast to watch in the movie theater, even though it doesn’t come close to matching the creativity and awesomeness of the original, which is nearly impossible to pull off anyway. In a new social media post The Predator co-writer Fred Dekker went into details about how hard it was to get the movie made. Dekker also touched on some of the toxic fandom surrounding the entertainment industry at this current time. In the end, the screenwriter admits that he had some other problems with the finished product too. Dekker explains. Bad news travels quickly, often a lot faster than good news these days. The Predator already had the cards stacked against it, but news leaks of negative test screenings and reshoots didn’t help the movie out at all. This led to a negative stigma about the movie before it even came out, though nearly all big budget projects go through the same reshoot process, along with rewrites. Early versions of the movie contained the Emissary Predators, but they were later written out, leaving some big gaps in the final cut, especially getting towards the end. By the time that The Predator had made it to the big screen, there were three different endings to choose from. One of which was the Alien ending, which features Ripley in the pod with a Facehugger-like mask on her face. 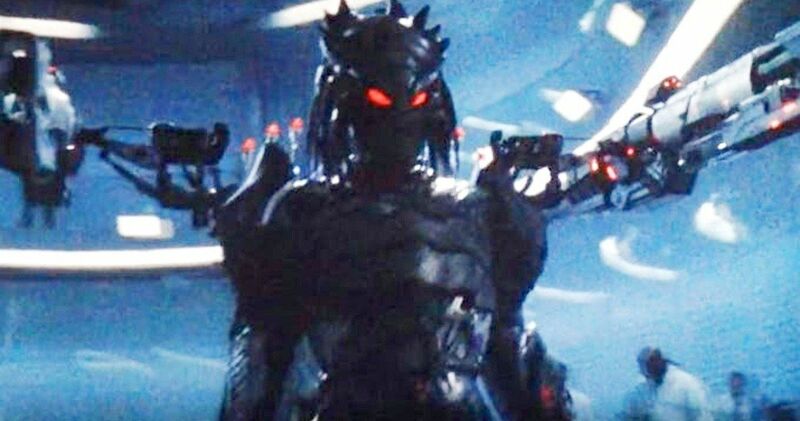 However, at the last minute, they went with the Predator killer suit ending on its own, which just seems to come out of nowhere, which is more than likely how the Alien ending would have come off too. In the end, The Predator is a fun popcorn movie and it’s not going to win any Academy Awards or end up on the end of the year polls from critics. That being said, hopefully some fans who haven’t seen it will give it a chance, despite the negativity surrounding it, even though the ending isn’t as good as it could have been. You can read more thoughts about the final result over at Fred Dekker’s Facebook page.